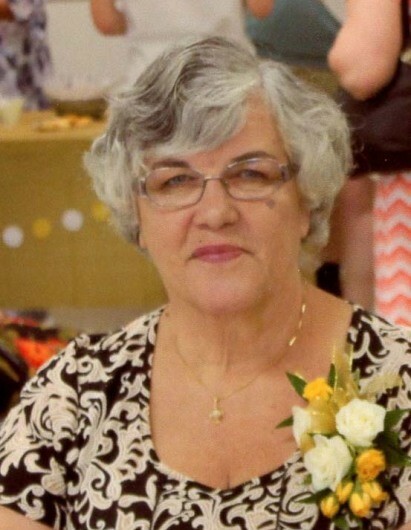 Lee Ann Taylor Stone, 68, of Reidsville, went to be with the Lord Friday January 18, 2019 at her home. Funeral services will be conducted 2:00 P.M. Monday January 21, 2019 at Baptist Temple Church. Burial will follow in Evergreen Memory Gardens. A native of Rockingham County, she was the only child of the late Thomas and Eva Wilson Taylor and had lived in Reidsville her entire life. She was a former manager of Fashion Cents and a former assistant manager of Kerr Drugs Store. She was a member of Baptist Temple Church where she served as a Sunday School Teacher and on various committees at the church. Lee Ann loved her family, church family and friends. Survivors include her husband of 50 years: Harvey Wayne Stone of the home, her son: Kevin Stone of Reidsville, daughters: Trisha Olivo of Eden and Kristi Stone of Reidsville, grandchildren: Tristan Olivo & boyfriend Josh, Patrick Olivo, Matthew Olivo, Kasey Frye & boyfriend Matthew, and her loving pet and companion Sadie Mae. Memorials may be sent to: Baptist Temple Church 729 Wentworth St. Reidsville, NC 27320 or to The American Cancer Society 4A Oak Branch Dr. Greensboro, NC 27407. The family will see friends 6:00 till 8:00 P.M. Sunday January 20, 2019 at Citty Funeral Home and at other times will be at the residence.